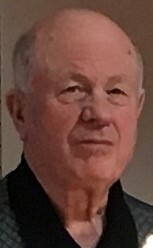 KEWANEE- Terry L. Wickey, 76, of Kewanee, died Friday, March 15, 2019 in the Emergency Room at UnityPoint Health-Trinity in Rock Island from injuries sustained in an automobile accident. Funeral services will be held at 11:00 a.m., Tuesday, March 26 at Rux Funeral Home in Kewanee. Pastor Kevin Drane will officiate. Visitation will be held from 5:00-7:00 p.m., Monday, March 25 at the funeral home. Burial will be at Evergreen Memorial Gardens in rural Kewanee. Memorials may be directed to the Terry Wickey Memorial Fund for a memorial to be established. He was born April 7, 1942 in Kewanee, the son of Leland and Lucile (Catton) Wickey. He married Marjorie A. Conway on March 11, 1962 in Kewanee. Survivors include his wife of Kewanee, two sons, Daniel Wickey and his partner Todd Palmer of Los Angeles, CA and Walter Wickey and his significant other, Marcie Spiker of Kewanee, a daughter, Annette Finney of Kewanee, a sister, Joan Winter of Peoria, two grandchildren, Anna and Dakota, five special grandchildren; Kaylee, Jennifer, Caleb, Breanna and Tristan and six special great grandchildren. He was preceded in death by his parents. Terry graduated from Toulon Township High School in 1961 and graduated from the National School of Meat Cutting in Toledo, OH. He was currently head meat cutter at Save-a-Lot in Kewanee and prior to that was meat manager and head meat cutter at Kroger Supermarket retiring in 2000. He had also worked at Wyoming Pack and as manager of Sandy’s. He was of the Methodist faith and was a lifetime member since 1961 and Past Nobel Grand of the Odd Fellows Lodge, had been active in Kewanee Civil Defense for 30 years and was a volunteer storm spotter for the ESDA. He also had been a member of the Hog Festival Committee and had been active in the Central School PTO, the local United Way and the Henry County Red Cross where he had been a blood donor for over 50 years, donating approximately 30 gallons. He mowed lawns for 30 years for Kewanee residents and was also awarded the B.H. Kroger Award for community service. Terry had been involved in scouting since 1951. In January of 1972 he became an assistant Cubmaster and assistant Webelos leader and in 1975 became a Cubmaster and held that position for several years. He was also affiliated with Central School Pack 192 and was their Cubmaster, was a Webelos leader, had been a Prairie Council unit commissioner, a district commissioner and a member of the Illowa Council. His scouting activities have included the Cub Scout Pinewood program. He helped build a portable Pinewood Derby racetrack and has been running derbies for Cub groups all over the state of Illinois for many years and was also awarded the Silver Beaver award.